Department of Aerospace Engineering Assistant Professor Christine Hartzell and Associate Professor Raymond Sedwick have received NASA Early Stage Innovations (ESI) Awards. The ESI program, funded as part of NASA's Space Technology Research Grants Program, focuses on innovative, early-stage space technology research that is of high priority to NASA’s Mission Directorates. UMD represented two of 15 university-led proposals for the study of innovative, early stage technologies that address high priority needs of America's space program. The proposals selected under the Early Stage Innovations 2015 solicitation address unique, disruptive or transformational technologies. Hartzell's ESI-funded research project, "Design, Test and Control of a Magnetorheological Universal Gripper for Use On-Orbit," investigates the application of magnetorheological (MR) fluid and magnetic fields to creating a universal gripper capable of operating in microgravity environments and adhering to a variety of surfaces and shapes. "The capability of small spacecraft to dock reliably and autonomously would vastly increase the utility of assistive free flying robots on the ISS," explained Hartzell. "To this end, spacecraft need an end-effector to grasp and grip objects of a wide variety of shapes and sizes." MR fluids are composite fluids consisting of magnetic grains suspended in a fluid matrix, and they become jammed (or cease flowing) when a magnetic field is applied. Hartzell's proposed gripper would be a small balloon-like end filled with MR fluid that is squishy, and capable of conforming around an object. Then, when a magnetic field is applied to it, the MR liquid 'stiffens' creating resistance to grip onto the object at hand. The team expects the MR gripper to be extremely reliable because there are no moving parts, and it applicable to a variety of operational settings. As part of their research, they will investigate a variety of MR fluid characteristics to maximize functionality and the best physical configurations of the device. Sedwick's research project, "Modular Cryogenic Hydraulics for Legged Mobility," will explore new approaches for building better hydraulic leg systems for space craft or robots that would enable them to explore icy moons. Icy moons represent unique challenges for standard hydraulic apparatus due to their extremely low, or cryogenic, surface temperatures. For example, Jupiter's orbiting moon Europa has a surface temperature at the equator that never rises above -260 degrees Fahrenheit (-160 degrees Celsius). According to Sedwick, there are several challenges in transitioning hydraulics to cryogenic temperatures. First off, cryogenic fluids have inadequate lubrication and there is a loss of flexibility in materials that transport fluid among components. The team's proposed effort addresses the first limitation with a design approach that leverages polytetrafluoroethylenes (PTFE), strong, tough, waxy, nonflammable synthetic resins (think Teflon) as both a seal technology and as an internal coating to reduce material wear. To address the cold's effects on material flexibility, they will investigate designs that transport fluid through pivot joints between the modules, eliminating the need for material flexing during operation. The team's vision is for a hollow pivot axle that both high and low pressure fluid can pass through, and which would be rigidly mounted to the upper end of each leg segment. At the lower end, a rotary actuator would drive the corresponding (upper end) axle of the next segment. The baseline rotary actuator will be a piston driven rack and pinion design, offering superior torque in a compact package. Their research approach will be mainly experimental, supported by computational modeling of structural designs. 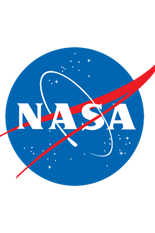 According to a NASA press release, the goal of the Space Technology Research Grants Program is to accelerate the development of low-technology readiness level space technologies to enable future systems capabilities and missions for NASA, other government agencies and the commercial space sector. Funded by NASA's Space Technology Mission Directorate, the program is responsible for developing the cross-cutting, pioneering, new technologies and capabilities needed by the agency to achieve its current and future missions.